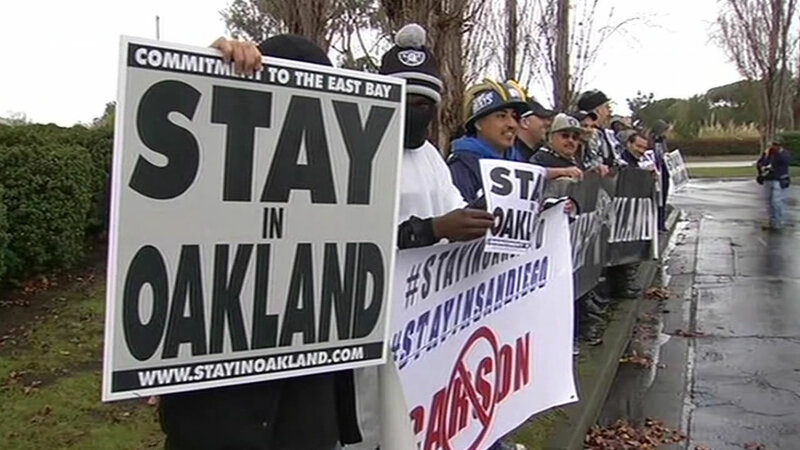 OAKLAND, Calif. (KGO) -- There are new details of the land deal put forward to try to keep the Raiders in Oakland. The term sheet offered by a group headed by NFL Hall of Famer Ronnie Lott lays out the funding for a $1.3 billion stadium on the Coliseum property. Here are the highlights; $400 million from the Lott group; $500 million from the NFL and the Raiders; $200 million in infrastructure improvements funded by revenue bonds. It also sets aside land for an A's stadium, if needed. The economic advisor for former Oakland Mayor Elihu Harris calls the deal a major accomplishment. "The NFL has wanted to see that the city of Oakland has the will and the initiative to complete big projects, and that's what its seeing, that is what is to be celebrated, and more important to do it, without putting a burden on the taxpayer," said Zennie Abraham. The city council and the Alameda County Board of Supervisors will vote on the term sheet on Tuesday. If approved, it will be presented to NFL owners at their meeting the next day. The Raiders had no comment.